Since Baby K started Preschool, one thing her teachers have talked about a lot is building fine motor skills and hand strength. In our technology world, some toddlers spend a considerable amount of time on tablets and don't always have the fine motor skills that they need. 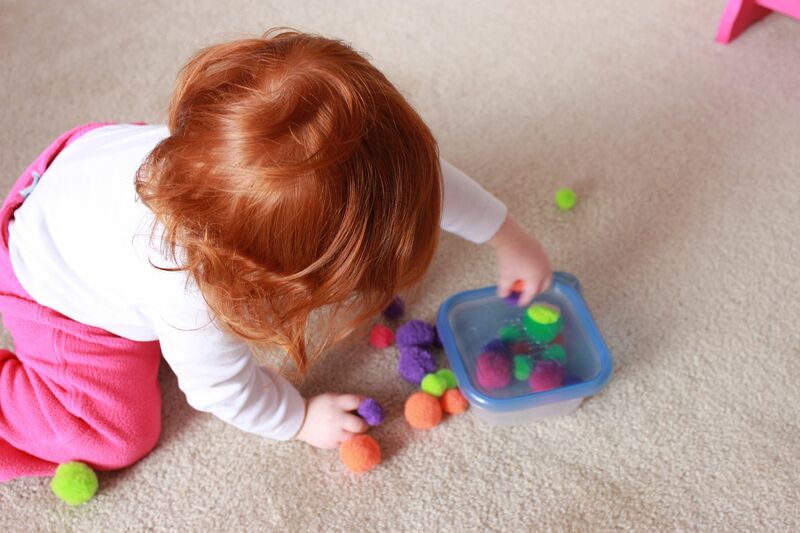 Over the years, I've tried to work with K on her fine motor skills and these are some of our favorite activities. Not only do these activities work on fine motors, but some of these are also educational and all of them are FUN. 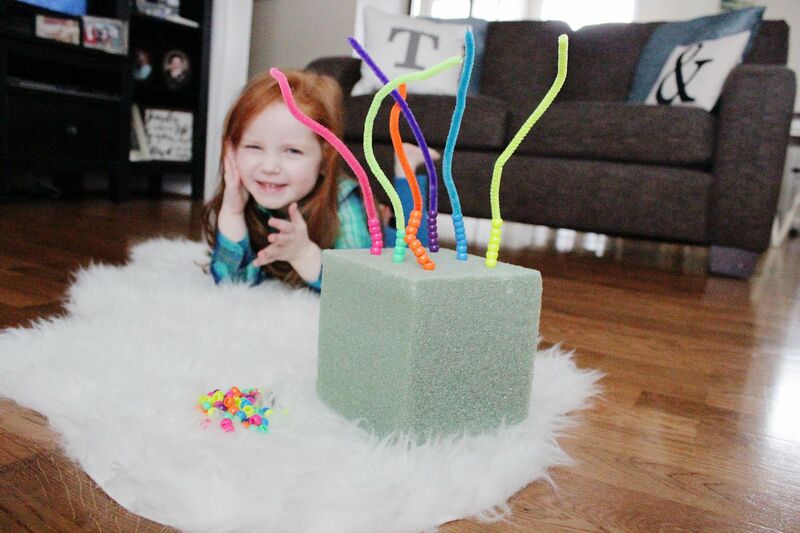 I bought a styrofoam cube and poked holes into it and then inserted colorful pipe cleaners. I then bought matching beads and taught K to "thread" the beads onto the pipe cleaners. 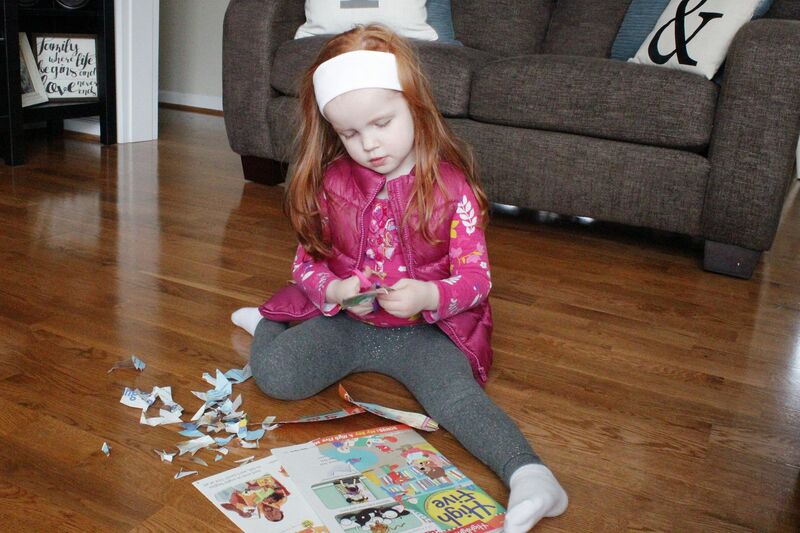 This activity teachers her about color matching, sorting and builds her fine motors. Also, when she plays with her bead garden I get an easy 30 minutes to myself. I've posted about this fun activity before, but it is worth repeating. I took a disposable food container and cut a hole in the lid. 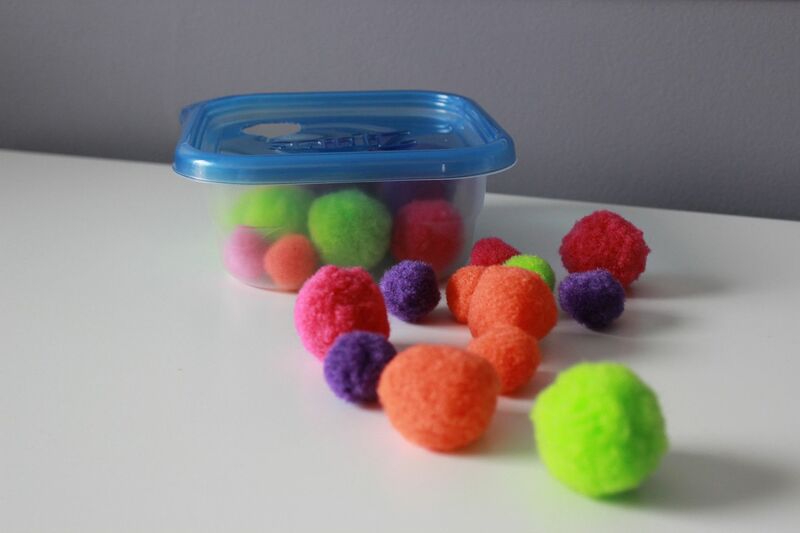 Then I bought some colorful pom pom balls and gave them to Baby K to fill up the container. She loved shoving the balls through the hole and watching the container fill up. When she was younger, she would bring the container to me to have me empty it out and start the process all over again. Now that she is older (3 1/2), she still likes to play with this, but she can open the container herself now. This activity I created because K is often right beside me - even when I'm cooking - and I was searching for a way to keep her entertained while I was making dinner in the kitchen. 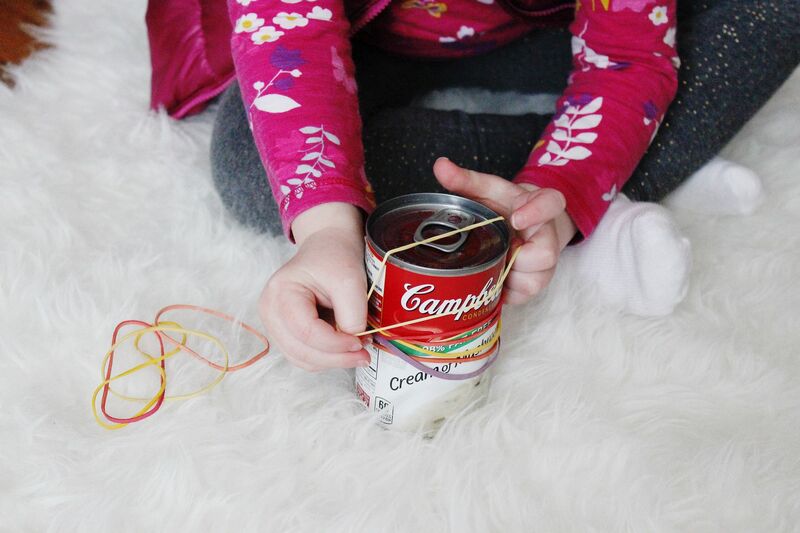 I grabbed a soup can and a stack of rubberbands and taught her how to stretch the rubberbands over the can. This builds up her hand strength both stretching the rubberbands over the can and taking them off. She will often ask to play with this even if I'm not cooking. I used an old Puff container and punched holes in the lid using a single hole punch. Then I took the reinforcers that you use on 3 ring paper and colored them. And finally I bought some pipe cleaners (a very cheap expense) and I worked with Baby K to match the colors and put them in the holes. 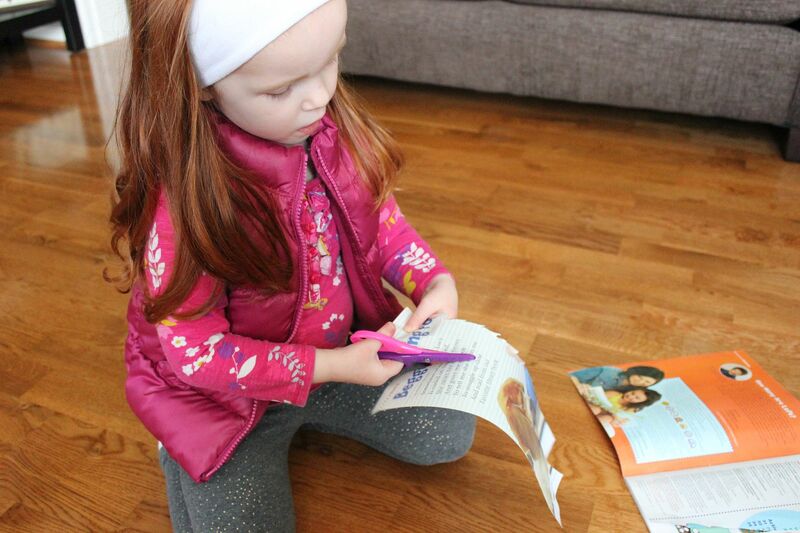 We've used this activity for a couple years and I truly think this activity helped her to learn her colors at such a young age. Now that K is older, I'm comfortable letting her play with toddler scissors. I will give her a magazine and let her cut the paper. This really builds up her hand strength (which helps her grip a pencil better) and is one of K's favorite things to do. She will try to cut circles and squares out of the paper, but often it just looks like confetti. K has a blast with this because when she is finished we actually throw the pieces of paper around like confetti. Anyone who knows me, knows that is true love to let my toddler just throw stuff around and make a mess. 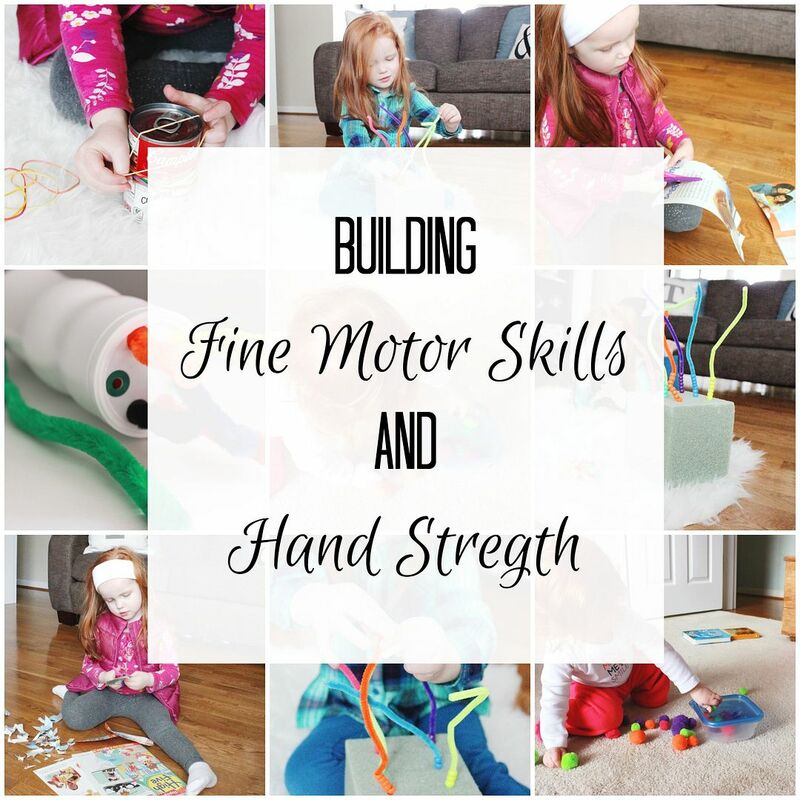 Do you have any activities that you use to work on fine motor skills with your children? Thanks for sharing Mady!! 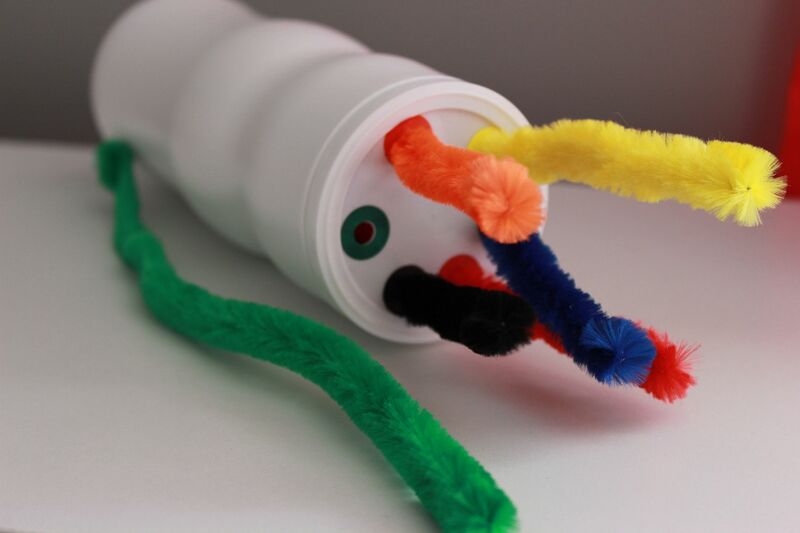 Quick question: What age did you start introducing these to K?